Shaun continues to expand and improve his knowledge as a coach working with some of the world's leading experts in the game. Shaun visited the Trackman headquarters in Denmark to gain more knowledge on the latest Trackman launch monitor. Shaun spent 2 days training with the team who designed trackman. Training included the latest data behind the impact factors that influence the curvature on your golf ball and how this has influenced the new ball flight laws. Shaun's work with some of the leading fitness experts in the game, Dr Greg Rose & Dave Philips helped him become a certified TPI Fitness coach in 2009. Shaun has also worked with the world renowned mind coach, Karl Morris. 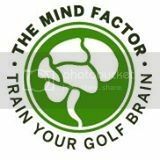 Karl has worked with many leading professional players to improve their mental and physical game. Techniques used to improve the games of the world’s best players can also help you get the most from your game.